“keep your chest up on those wall balls!” is something I cued a Sweat Shop member on a week ago. Or “keep the outside of your foot driving through the ground” was a cue I gave a different member just yesterday on the air squat. Which got me thinking, while we may be giving you a cue to fix the exercise you are currently doing, don’t just “fix it and forget it”. We are actually trying to correct a movement pattern, and while there are an infinite number of exercises in CrossFit, there are actually only a few movement patterns. Some would say there are as few as 6 movement patterns, Squat, Hinge, Press, Pull, Lunge, Carry…. and even if you argue (which some do) running, and rotational movements don’t fall into these categories, it doesn’t change the point I’m trying to make. What I want Sweat Shop members to realize, is that if their chest is dropping during a 14lb. 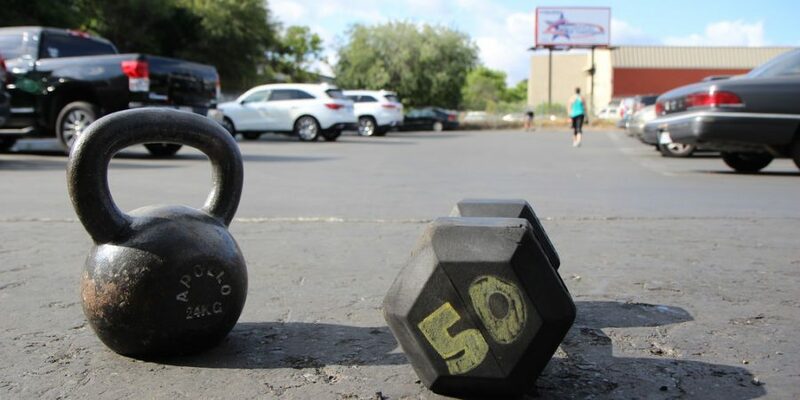 wall ball, we want to fix it there, but also identify why this movement flaw is happening, because they will most likely also have this flaw when they do similar exercises such as front squats, thrusters, or even a basic air squat. So is the flaw we see in the wall ball because they are in the middle of the metcon and it’s difficult for them to focus on proper technique when they are in a fatigued state? Or do they have a mobility or stability deficiency or imbalance that doesn’t allow them to perform the movement properly? While it certainly gets more complicated than this, but if the athlete can perform the movement when they are not fatigued, there is a good chance they need to be exerting just as much mental effort and focus into their of movement as they exert physical effort. On the flip side, if even in a controlled environment, with full understanding and plenty of ongoing instruction, the athlete is unable to perform the movement properly, most likely there is a mobility or stability (strength) issue at hand. Slow down! It’s more difficult to notice your own movement flaws when you are moving at full speed, it’s even MORE difficult to try and make changes to your current movement pattern if you’re always moving at full speed. Use less weight. As coaches, when we suggest someone decrease the weight they are using for a particular exercise, we’ll often hear the response, “it’s not the weight!”, but if we seen you perform the movement correctly with little or no load, and then load is added and the movement changes, it is the weight. 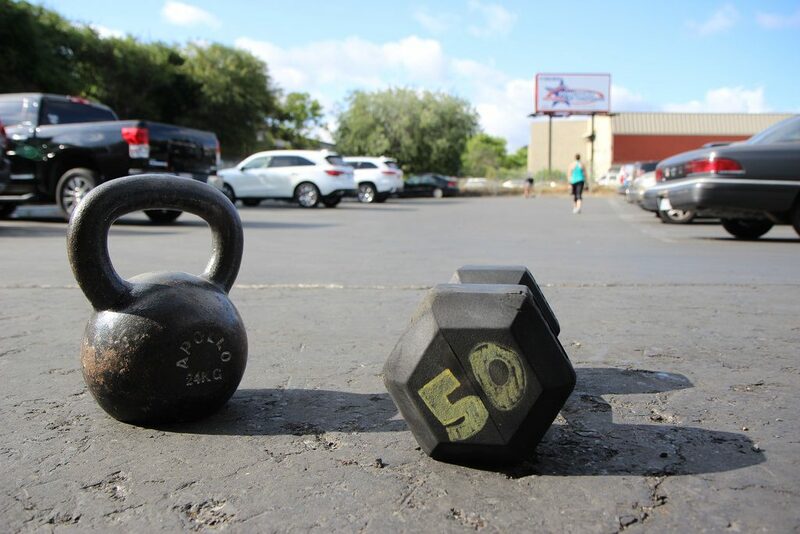 Our goal is to help you lift safer and more efficiently, both of which if done correctly over a long period of time will result in lifting heavier and heavier weights. Focus! Feel where there is tension, feel where you may be relaxed, compare and contrast reps as you go, ask yourself, “what made that one feel better?”, most importantly, try to implement any cues you’ve been given on all of the exercises that fall withing the same movement pattern. Scale back the difficulty of the exercise. Not able to perform ring pushups without your hips sagging? Go back to regular pushups on the ground. Still not able to maintain a rigid core, try assisted pushups with a band giving you some support at your torso. Seek additional help. Our coaches are constantly searching and learning new ways to improve the performance of our members. One thing we’ve realized is that a lot of performance gains can come in the way of addressing movement pattern flaws, not simply prescribing more exercise. If you are struggling to perform an exercise or have a faulty movement pattern, getting some 1-on-1 training with a coach may be of great benefit to you. In a 1-on-1 session we’re better suited than in a class setting to identify exercises to develop the mobility or stability necessary to correctly perform the movement while NOT in a fatigued state. Then, over time, increase the difficulty by increasing intensity, load, or both.